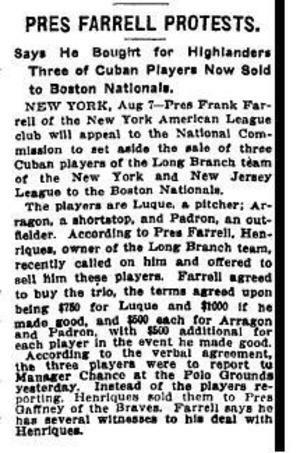 The dispute was decided in favor of Boston; according to the Braves’ president, the Yankees/Highlanders had not actually purchased the players, but instead arranged for a tryout at the Polo Grounds—so Henriquez was perfectly within his rights to sell them to Boston. 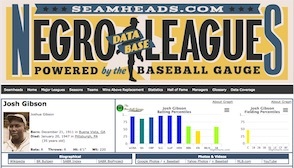 CINCINNATI - Calhoun, first baseman; Gonzales, catcher, and Padrone, infielder, have been released outright by the Boston Nationals. Calhoun is now playing first for Jersey City and the two Cubans are with the Long Branch (N.J.) team. González (presumably Miguel Angel; it certainly wasn’t Gervasio) had also been reported, on August 2, as sold by Boston to Long Branch—it would seem either that Boston retained some kind of option on him or else had purchased him again. 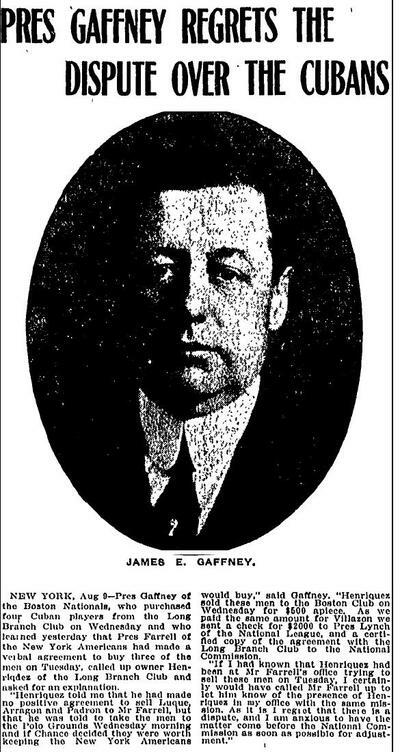 He had appeared with the Braves briefly in 1912, and would turn up with Cincinnati in 1914. 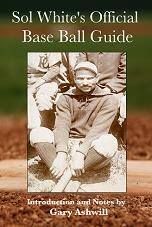 I’m guessing that Aragón was probably released around the time of his injury; he would play for the Yankees in 1914. 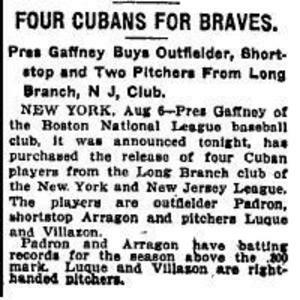 Luque, on the other hand, was probably retained by Boston, as he would appear with the Miracle Braves in 1914. 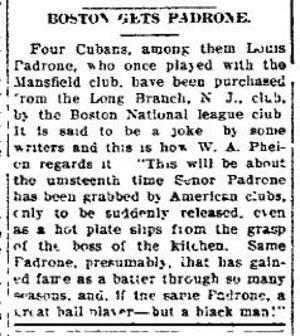 UPDATE 11/1/2007 I completely forgot to say, btw, that I found about this from Scott Simkus, who found a reference to the Braves releasing Padrón in 1913.